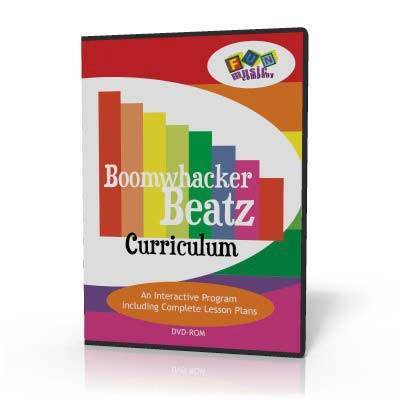 This includes the complete whiteboard program as in ‘Boomwhacker Beatz songs and games’, plus more lessons and activities. This has the stand-alone interface plus the lessons in a customisable interactive whiteboard format for SMARTNotebook and ActiveInspire, and step by step lesson plans, so that the teacher can use it for a complete unit of work. Have Fun with Boomwhackers in the Classroom! 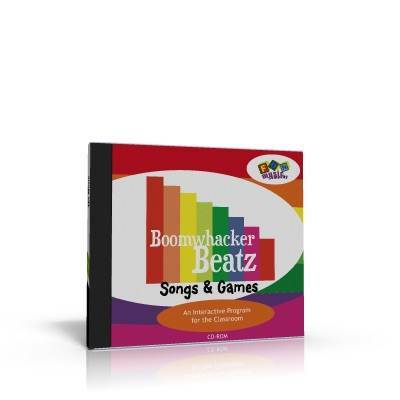 Using a projector or interactive whiteboard, the music teacher can get the class performing a song in no time at all using the fun Boomwhacker Beatz animations. There are ‘warmup songs’, based on easy to understand rhythms and pitch ideas, plus performance songs, composition activities and games. 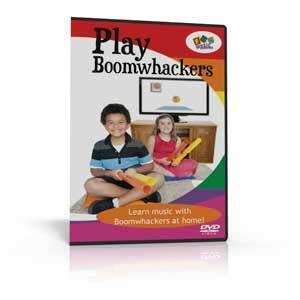 Learn to play Boomwhackers at home! Children will have fun learning to play Boomwhackers with the ‘Boomwhacker Beatz’ characters as they jump around and show the children where to play. They don’t need to read music, as they simply follow the animations and play when the ‘Beatz’ bounce on the ‘Play Mat’. Children learn about musical concepts such as pitch, rhythm and harmony, all while they are just having fun and playing in time with the animated characters.